I've been browsing trough the forums but nothing.. is there anyone can help me? Do you mean the latest compiled commit or the latest released version? I think he means for the Wii. Hi..i am new user here and just started using emulators. I want to know something and that is why you want only NOT64? What is special there in that and how it is different from others? Is it applicable to different type of applications also? BudSigner wrote: Hi..i am new user here and just started using emulators. I want to know something and that is why you want only NOT64? What is special there in that and how it is different from others? Is it applicable to different type of applications also? 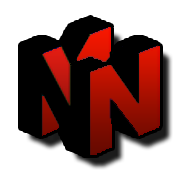 Not64 is a modified emulator based on Wii64 that adds many new fixes and a few new features, overall for N64 emulation on the Wii use Not64.